As I walked further down the beach into Captiva, I overheard Stacey telling her daughter Gracie that she just missed a good shell in one of the waves that washed in. She said ” This is just like shopping at HomeGoods! If you see something you want, you better snag it up right away because it won’t be there in another second.” LOL It’s so true! Here’s Gracie and Stacey showing off some of their shells that didn’t get away. Jennifer and Cindy were thrilled to wade in the clear shallow water to find LIGHTNING WHELKS and lots of CONCHS. The CONCHS are so beautiful! I was thrilled to find candy! A HORSE CONCH and a BITTERSWEET were my fave finds. I took a short video to show you where this new spot is and how far it is from the jetty rocks at Blind Pass Captiva on this beautiful beach. Hmmm. something is up with the video on some computers. I’ve been told that you can hear the vid but not see anything. I’m working on it! Sorry y’all! In Key Largo down from Virginia Beach for the week. VERY tempting to drive over for a day of shelling. Having hard time launching myself out of reading hammock. But with all the temping photos and videos you keep posting… You never know! Happy shelling to all. Wow, so beautiful! Thanks Pam. Hey Pam, I sent you a couple of shell books today; I hope I got the address right. Check your emails if you get a chance, OK? Thanks. Woohoo! Have fun on behalf of all of us who aren’t there right now! Wow, the water is just gorgeous! I absolutely love the videos! Please keep ’em coming! Hoping for a shorter trip in December. video is working fine now. Thanks for my Sanibel fix! Mine has done that too, but when I click on youtube icon it comes right up then! Just returned from a great trip to Sanibel/Captiva. The great thing about this area is that if you don’t find what you are looking for on one beach, there’s always another! The Lighthouse beach water was still tea-colored, not very pretty, but that could have changed by now. I was just at this beach on Monday, saying my “good-byes” to the gorgeous gulf, and it was very hard to leave! I found two turbans at the point Pam mentioned and offered them to a young boy before realizing he was carrying a large bag of shells bursting at the seams! The Sanibel side of Blind Pass also had its own nice little piles of shells forming. Plenty of shells to go around! Enjoy! I will be back on Saturday evening for 7 wonderful days. Can’t wait to get back to Blind Pass and let the shells roll in. Best shelling I have ever had was here but I am planning on checking out all the beaches this time. WooHoo! I just love coming on your site everyday to see what is new. It makes me feel good!!! I will be there in a few weeks for 8 days, so I can not wait. I noticed that beautiful mirror you made with the curley shells. 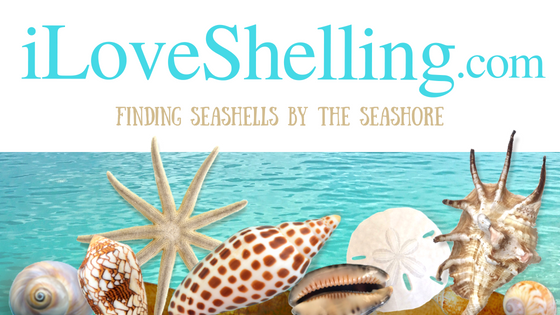 I must find some of those shells!!! That mirror is beautiful. Where are these found? Maybe you could pick up some for me? I will be on the look out for you when I go down there. It will be my first visit to that area. Thanks for posting your pictures, videos so I can hear the ocean…love it, and for posting your comments. I enjoy this site! I will definitely have to get to Blind Pass. I’ve been to Bowmans but not Blind pass yet. I usually sheel on Middle Gulf Dr. towards West Gulf Dr. I’ve been sorting through the shells I found in January and I think I found a Comb Bittersweet. The ones you find look like the Giant Bittersweet. Have you found a Comb Bittersweet yet? They are much smaller. Hey, Could you please tell me where Gulf Side City Park is? We will be there next week and will be staying at Sanibel Arms Condo’s. Would like to visit the park area. Thank you so much. Hi Stephanie, take a look at the parking tab at the top of the blog… All of the beaches and parking are marked on the maps. Good luck!